Get your blush, bronzer and highlight right where you want it with this tapered SigmaTech® fiber brush using your favorite powder products. 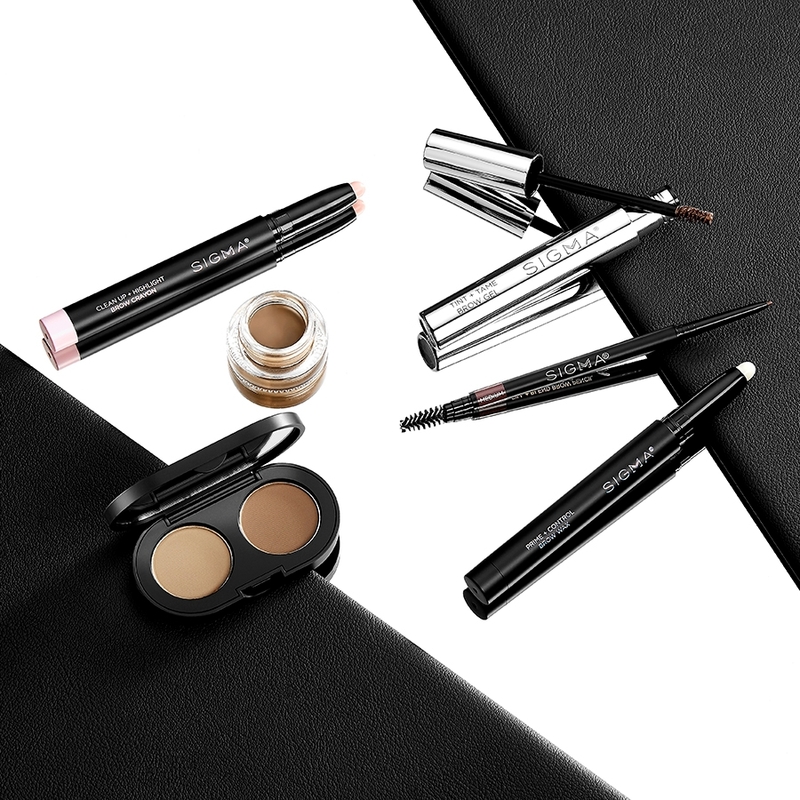 Recommended Use: Apply powder, blush or contour shades onto the cheeks and temples. F25 Tapered Face Brush is rated 5.0 out of 5 by 82. Rated 5 out of 5 by Lina from AMAZING I wasn't so sure if I was going to use this brush but I bought it anyways and OMG I am totally in love with it! I use it to apply powder foundation or setting powder under my eyes and it does the job! The bristles are so soft and does not eat the product at all. Totally recommend! Rated 5 out of 5 by RachelLA from Best. Brush. Ever. After my really long novel of a review on the F30 powder brush, I will keep this one simple. 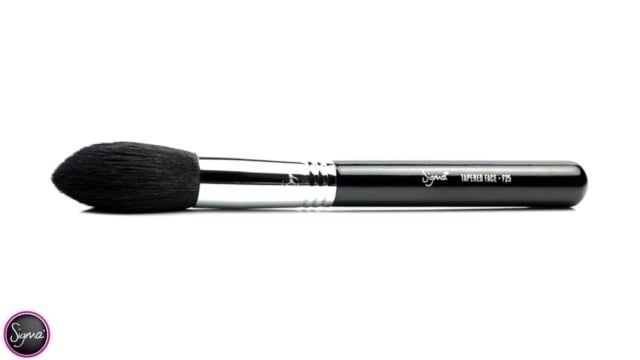 Sigma brushes are the best makeup brush discovery. Each one is my holy grail and I am now spoiled. This brush is perfect for my blush and does all those things that every great review for a brush can do. It picks up product perfectly, deposits it where you need it to - this one especially for blush in the perfect line on my cheeks - and is so super soft. This is the first brush that doesn't have my blush all over the container. It actually picks it up clean without my blush being pushed all around in a mess in my compact. I am so impressed. Sigma brushes are my holy grail and I will be coming back twice a month for more until a complete my collection. So much money spent on other brushes but I can now focus those funds in the best place for the best brushes. The price for each is so worth it. And the quality is amazing compared to any other brush I own...and I now own quite a few of brands across the board. Best. Brushes. Ever. 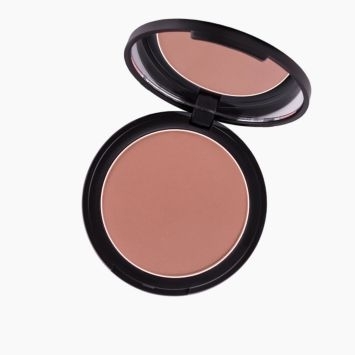 Rated 5 out of 5 by NotJustGingerly from Great for bronzer! I have been giving this brush a lot of love lately after figuring out it does a beautiful job with bronzer! The tapered bristles in combination with the larger brush head give a lot of surface to pick up product and it applies it smoothly and softly. Want more on the cheeks? Use the side. Want less on the temples? Use the tip. Rated 5 out of 5 by alexiapearle from Perfect for setting Saw this brush in a youtube video and absolutely needed it, so happy I bought it because it's perfect for setting my highlight under my eyes. It holds onto the product but doesn't cling to it so I don't end up wasting powder. Rated 5 out of 5 by Vanessa from Best multitasking brush EVER I love this brush, especially for setting my entire face after foundation. The reason for that, is that it fits perfectly between my brows without messing them up and under my eyes. It is also great for both contour and blush. I use it for everything :) Definitely need two of it! Does this brush come in copper? Right now (8/17) this is available in copper as part of a set on the sale page. Where is this brush made? 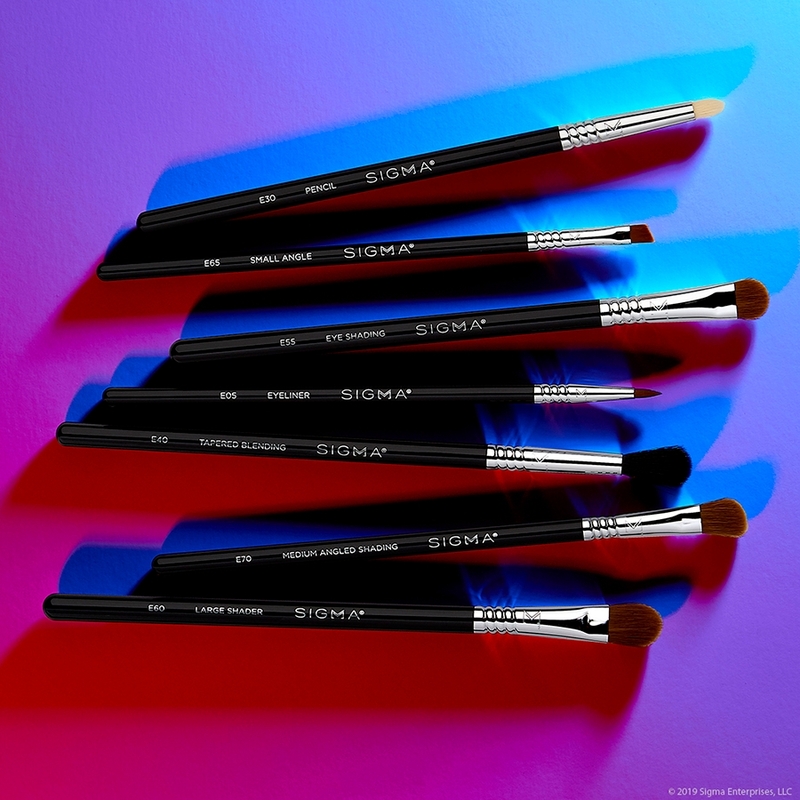 A friend told me that Sigma Brushes were made in the USA, but I have not been able to find any information regarding where they are made on this website. Thank you! May I use this F25 to apply the loose powder for entire face? If compare with F30, which one will be better for apply loose powder? And Does F25 able to apply highlight and be cheek blush? 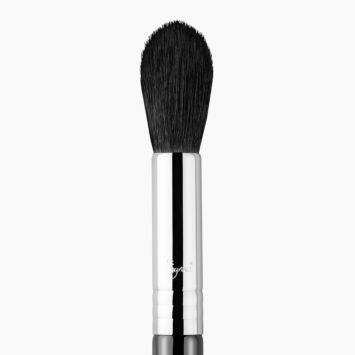 Yes, you can definitely use the F25 Tapered Face brush to apply loose powder to the entire face. The F30 Large Powder is another great option, with the biggest difference being the F30 Large Powder brush is larger and more rounded in shape, while the F25 Tapered Face brush has the tapered tip. The F25 Tapered Face is also great for applying both highlight and blush color, too. We have some great options for bronzer brushes! 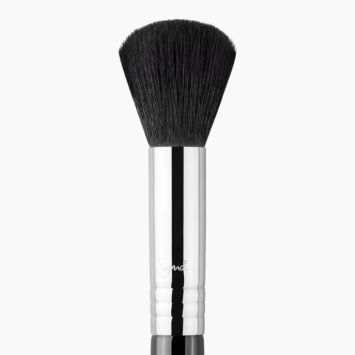 The F25 Tapered Face Brush is great for a more controlled bronzer application. One of our top selling bronzer brushes is the F23 Soft Angled Contour&trade; Brush as it has a soft angled head that is paired perfectly with powder bronzer or blush to achieve a gentle contour. If you would like an all over bronzer look, the F30 Large Powder Brush has a large, round fluffy brush head. Would you recommend the F25 or F30 brush for applying a translucent setting powder in the under eye area? 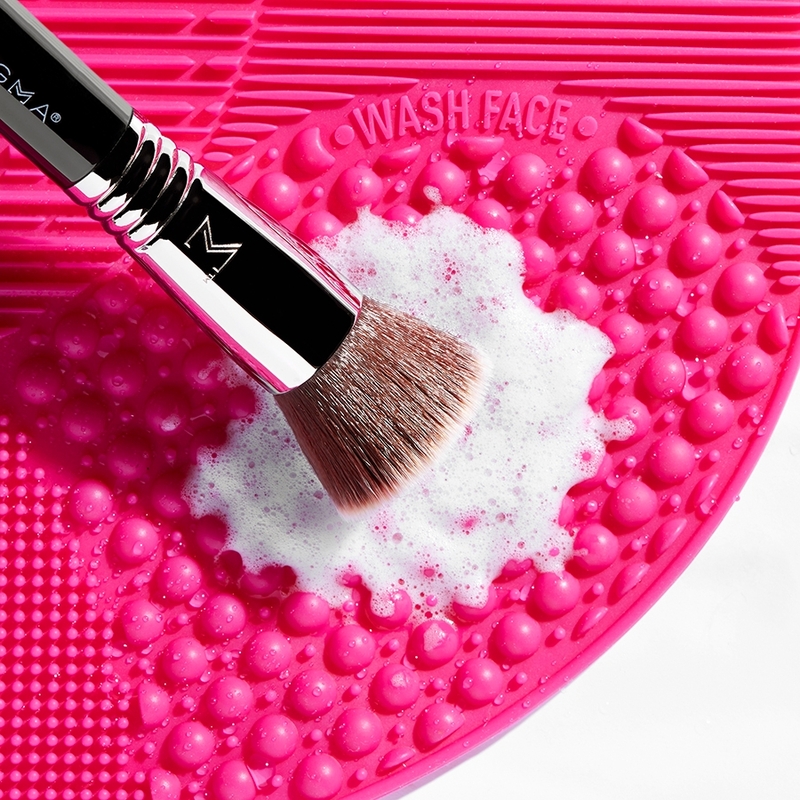 The F25 - Tapered Face Brush is perfect for applying powder to the face! 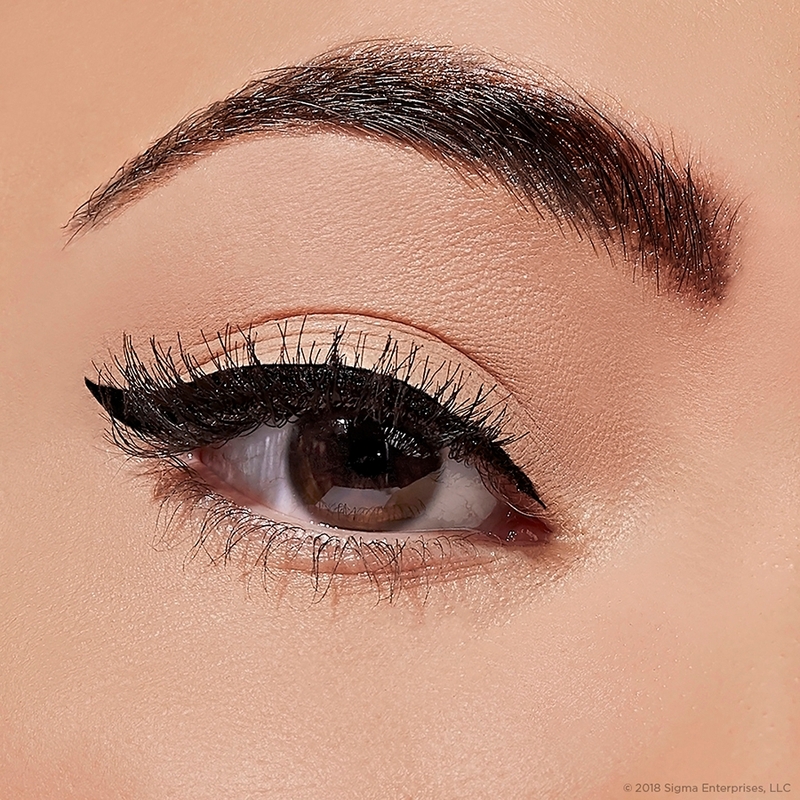 The tapered shape will give exact placement of the product. 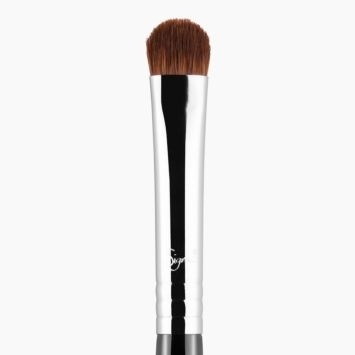 The F25 - Tapered Face Brush will work wonderfully for bronzing the outer parts of the face! Due to the tapered shape, you will have total control of product placement! Between the F10 and the F25 brush, which brush is less dense? &nbsp;I don't want to apply too much blush. 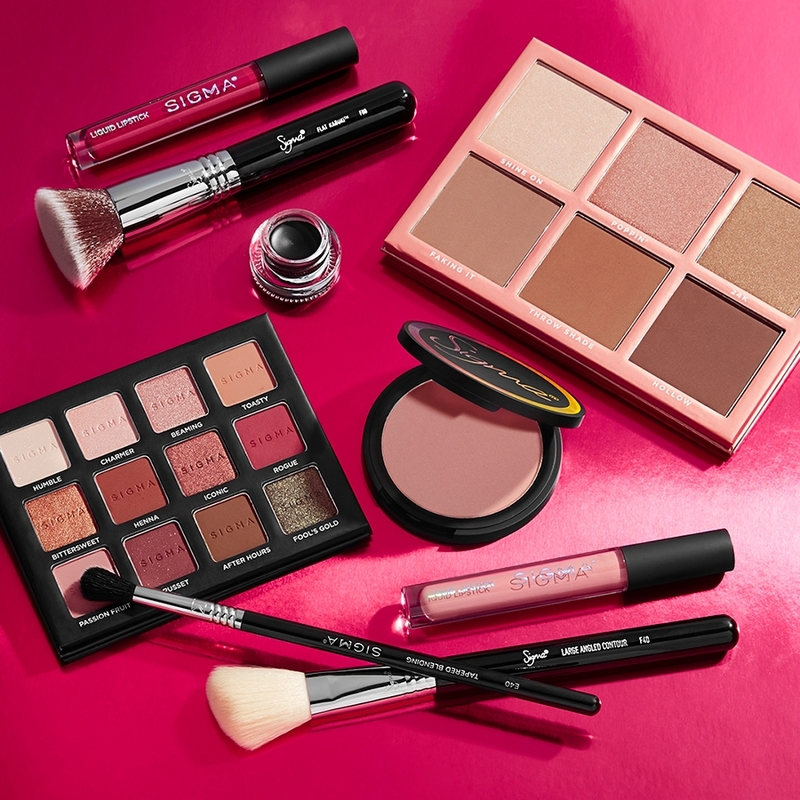 Either brush would be a great choice for applying blush without too much pigment. 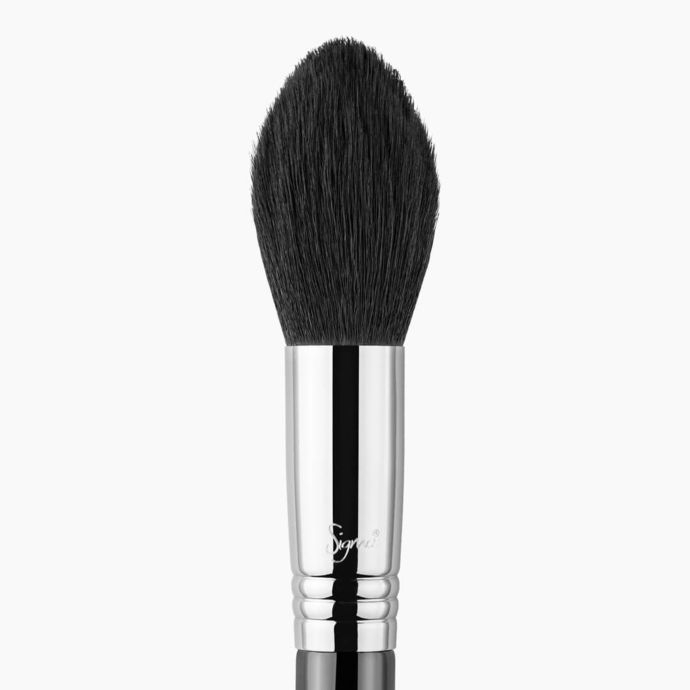 The F10 - Powder/Blush Brush has a fluffy and soft, slightly beveled edge. Perfect for applying blush to the apples of the cheeks. The F25 - Tapered Face Brush has a large, tapered tip brush head. 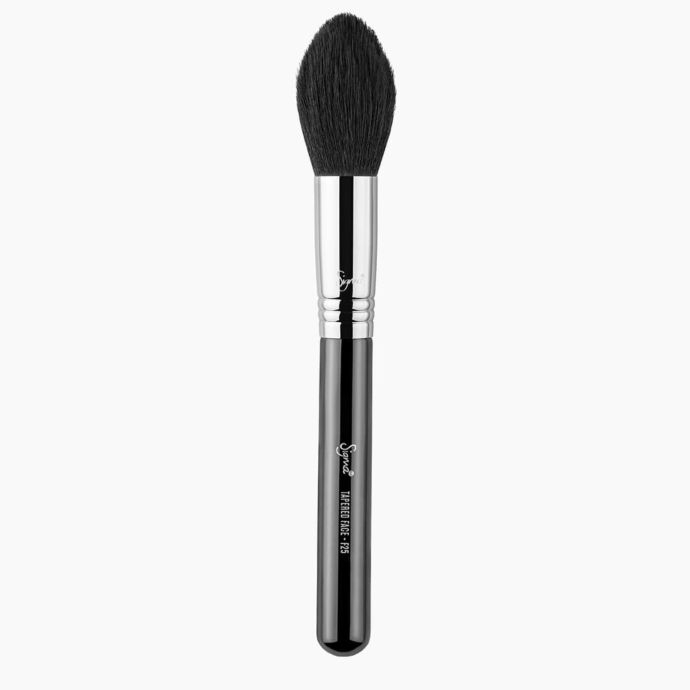 This brush works great for applying powder products onto the cheekbones and temples. Hi, between F20 and F25 ,which one of these will apply full coverage using MAC studio fix power foundation? I also use translucent setting powder, would either one of those brushes work as well? Hello, I would recommend checking out the F82 Round Kabuki&trade; brush to apply a full coverage powder foundation! 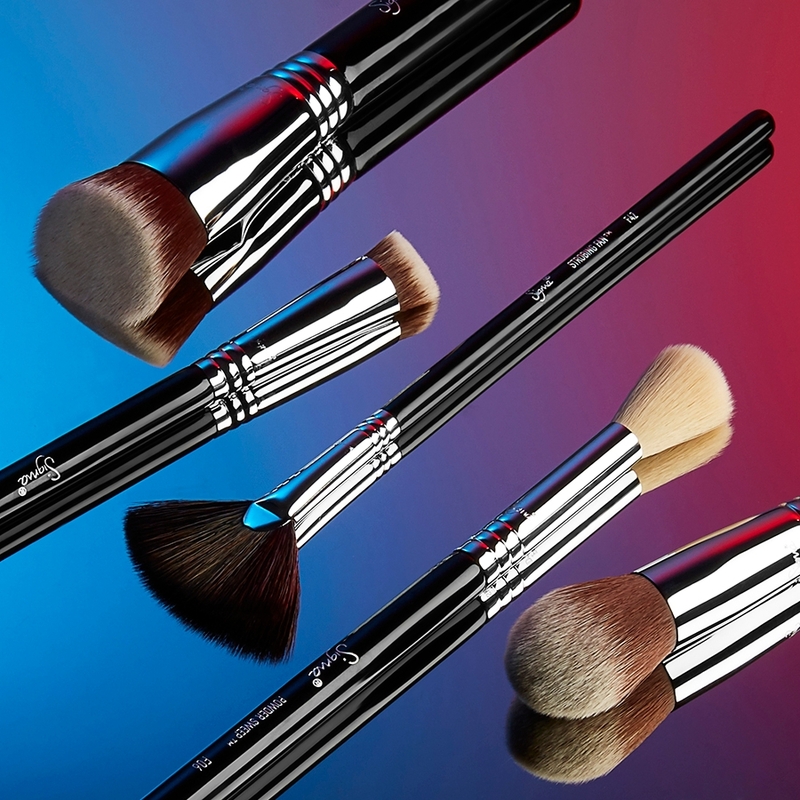 You can check it out here, http://www.sigmabeauty.com/f82-round-kabuki-/p/F82PARNT. 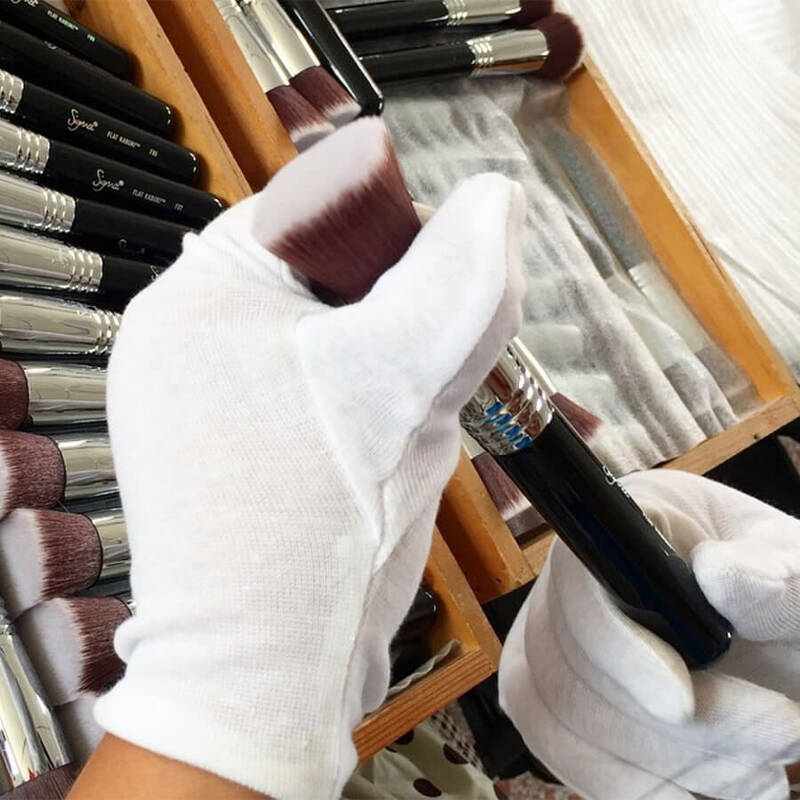 The F30 Large Powder Brush is a large, round fluffy brush head used for a diffused application of powder products all over the face and works especially well when applying setting powder. 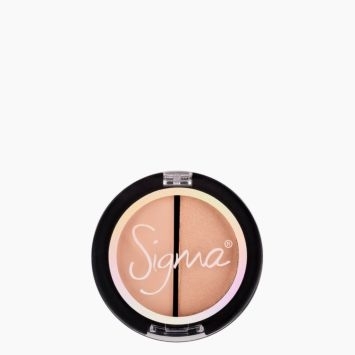 You can check it out with the link provided http://www.sigmabeauty.com/f30-large-powder/p/F30PARNT.